This EA robot aims to take advantage of the sudden sharp movements that often happen at the time of market openings. This EA places two buy and sell pending orders from the price before a specified time of the market open from a specified distance from that price. The two pending orders are expired after a set period of time. The two pending orders are also OCO (one cancels other); that means if one pending order is activated other is automatically deleted. For instance, we can keep two buy and sell pending orders one minute prior to the London market opening time, each from 10 pips away from the current price expiring after 05 minutes. If the market moves up or down 10 pips in 05 minutes or less, we can reasonably assume that the market will move further in the same direction. Orders can have a stop loss, take profit and trailing stop levels. 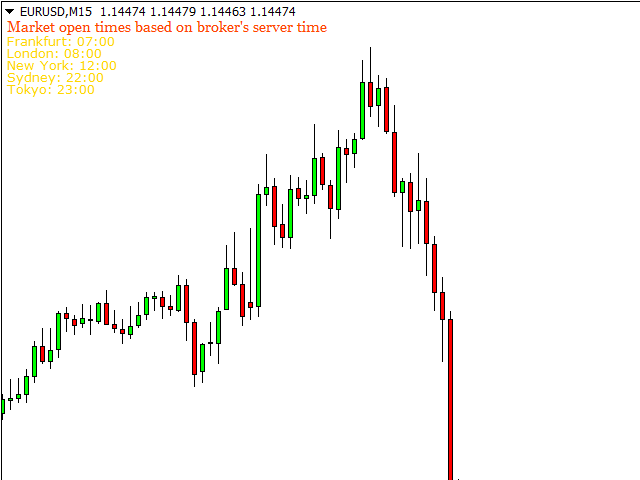 If the market does not move 10 pips up or down within 5 minutes, both pending orders are deleted by the EA. If one pending order is activated, the other is deleted. This EA supports any pair in any time frame. 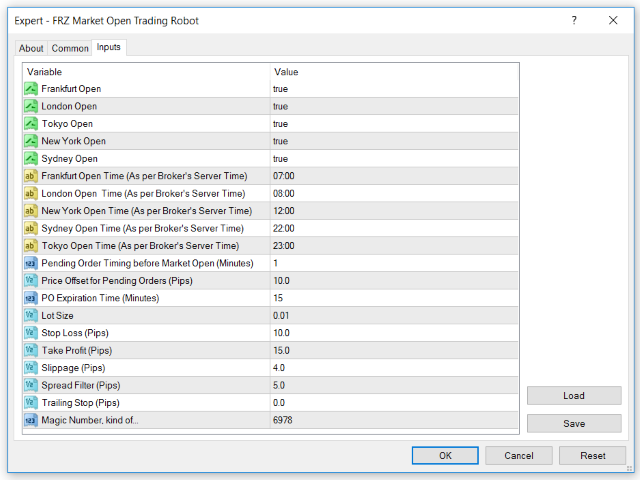 You need to manually update the market opening times for each market under settings. Market opening time should be in brokers' server time (or the chart time).